April is the month of the daffodil. It’s difficult to choose a favourite. The zingy bright yellow of Narciccus Tete – a -Tete is always the first to flower in our garden. 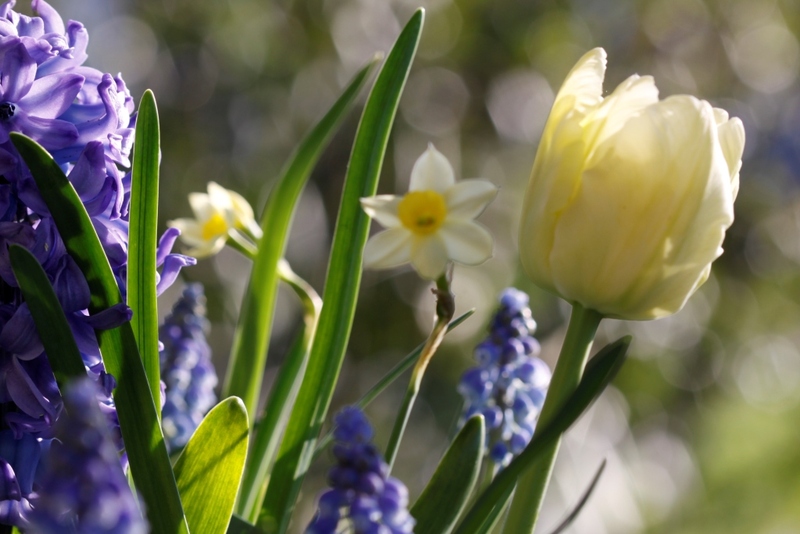 Along the lanes grass verges are lined with tall bright daffodils trumpeting that spring is here at last. 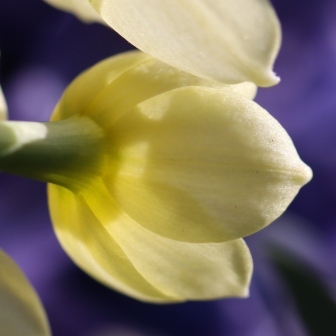 I love the pale lemon yellow and creamy white flowers of Narcissus ‘Cheerfulness’ and ‘Thalia’. I’ve just discovered a new mini daffodil flowering in a bulb collection I planted last autumn. Narcissus ‘Minnow’ it’s called and it’s a tiny little daff. I love all the pale tasteful colours… I also love all the bright and bold colours too. 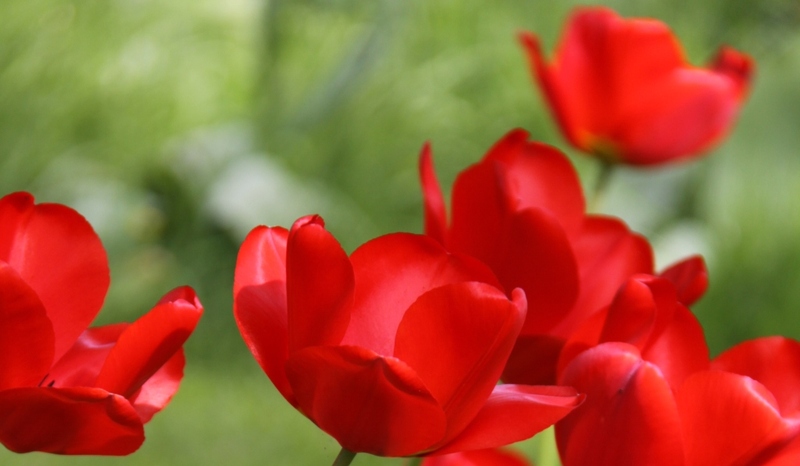 They can be difficult to place in the garden but red tulips always look brilliant with a green backdrop.